Packed with protein and fiber, this healthy dish can be a delicious light meal all by itself. 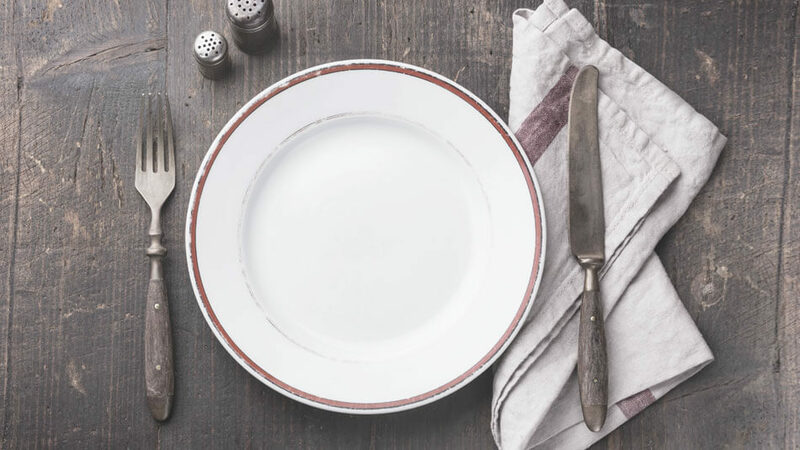 For something a little heartier, pair it with chicken, fish, or a light soup. The broccoli is a great source of Vitamin C, Vitamin A, and anti-cancer phytonutrients, and the chickpeas provide protein and fiber to stabilize your energy. 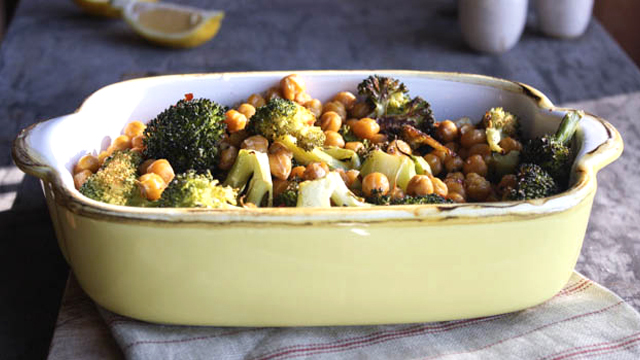 On a large baking sheet, toss the broccoli and chickpeas with 2 Tbs. olive oil. Sprinkle with salt and pepper. Roast in the oven for about 20 to 25 minutes, tossing halfway through cooking time. Broccoli and chickpeas should be lightly browned and tender. In a small bowl whisk together the lemon juice, garlic and remaining 2 Tbs. olive oil. Season with a dash of salt and pepper. Drizzle broccoli and chickpeas with dressing and sprinkle with crushed red pepper flakes. Best served immediately. Love this! We sprinkled some pecorino over the top too. Yum! I also roasted some sweet potatoes to go with. Made this recipe for my barre3Anywhere friends today. It was a hit! Amazing side dish! This was a huge hit at dinner the other night. Served with baked chicken. Made this recipe as part of my Barre3 Anywhere weekly plan. Even my toddlers loved it! Will definitely be a go to…made delish leftovers as well. Love this recipe – it’s a repeat in our house! I didn’t have lemon this time around for the dressing, so I subbed a little balsamic vinegar to get the tangy flavor. So good!